Congratulations pn Placement in Gionee India Private Limited. Leading Mobile Company Gionee India conducted a campus Placement drive for PGDM 2015-17 Batch on May 12, 2017. 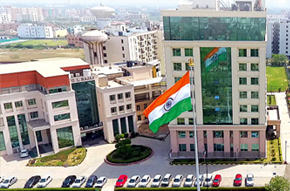 Gionee India Private Limited is one of the fastest growing mobile handset company in India with an annual turnover of 4000 crore, ranked among India’s Top 5 mobile handset company. Dr. Urvashi Makkar, Director General, GLBIMR, welcomed the delegates from Gionee & extended thanks for conducting the placement drive. Mr Gaurav Sharma, Director Human Resources,Mr. Alok Shrivastava, Director Business Planning & Intelligence, Mr. Saransh Sharma, Regional HR Business Partner (N&E), Mr. Gaurav Tripathi, Manager Human Resources, Gionee India, visited the campus & interviewed the students for Management Trainee role under Gionee Young Talent Program. Students who are already placed were also given this opportunity and they participated enthusiastically. 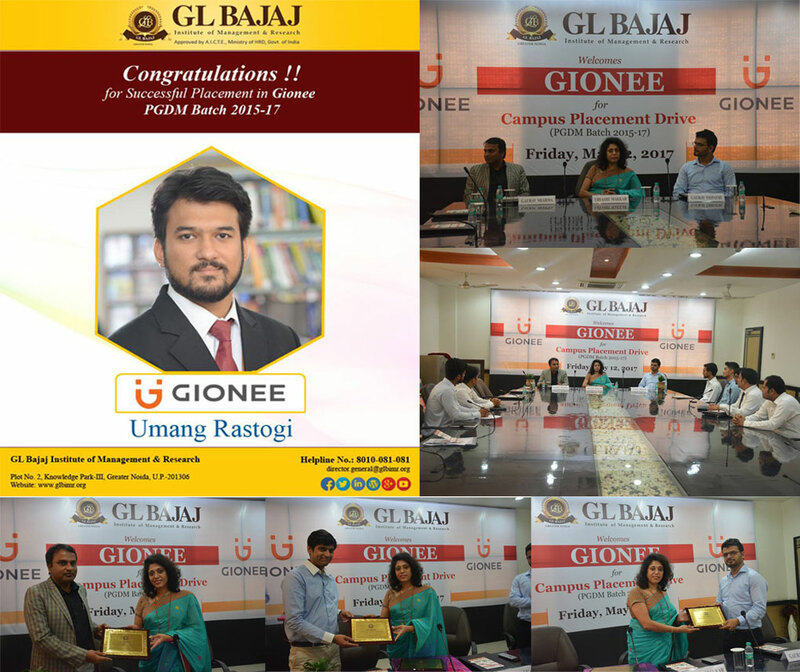 With much pride, we share that one of our student, Umang Rastogi was selected during the placement drive and has now joined Gionee India Pvt Ltd, as Management Trainee. Congratulations to Umang Rastogi, we are really proud of you.!!! We are thankful to Gionee India for giving this opportunity to PGDM 2015-17 batch students.